I volunteered today to help take the kids in my daughters class to Museum T’Oude Slot today. A magical outing for the kids to do something special during school and I helped make that possible, what a good mom, right? Seriously, super mom. How do I find the time? The patience? I take such an active role in parenting that I even amaze myself. At least, that is how I feel when I sign up for these things. Then the day comes and I’m left thinking “What the hell was I thinking? When will I learn?” Because what will end up happening is that I stand awkwardly alone in the corner as none of the other parents talk to me. Maybe it’s the mohawk, maybe it’s because I’m foreign, who knows. But I keep signing up. I’m not that bright sometimes. On this day though, I’m glad I did. I was still standing awkwardly in the corner not talking to anyone for most of the morning but it was nice to see my daughter have fun. Also, I’m glad I got to visit the Sinterklaas House in Veldhoven. Damn this thing was organized. I was amazed. You see, every class in probably every school in Veldhoven is going to hit this spot in the next few weeks. Each class gets an hour. It was like: BAM! Lets sing some songs. BAM! You have 15 minutes to color a picture. BAM! lets spend a few minutes talking about the big book (like our naughty and nice list). BAM! This is where Sinterklaas sleeps………. It goes on like that. All with 2 super friendly Pieten interacting with the kids and making sure everyone is still smiling. I’m not gonna lie, it was overwhelming for me. Plus, all of the other parents there know all the kids names. How do the do that? When I want to scream at one of my kids at home I often have to run though the names of everyone living in the house before I finally get to the one that I am actually upset with. I sometimes get the dogs name mixed up with the kids! Anyways. It was really scheduled. But it’s not always like that. Apparently this is just for the school groups. I got a chance to talk to a really lovely woman who works there while the kids were getting bundled up to go back to school and got the lowdown on what happens during normal visiting hours. When they aren’t herding school children around with military precision, it sounds like a pretty chill place. Sinterklaashuis Veldhoven is open to the public, kids can wander and explore on their own. 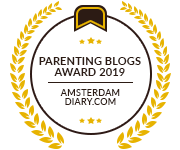 If you haven’t read any of my other blogs about this time of year (don’t feel sad, I’ll link them below), Sinterklaas comes to the Netherlands for a few weeks every year and has to sleep somewhere, right? It’s like a super special hotel full of magic and joy. I’m pretty sure there is one in just about every city, but don’t quote me on that. T’Oude Slot is really nice. There is lots to see and do. There is a coloring and crafting room, and different rooms and buildings where Sint and his Pieten work while they are in town. Kids can explore his office and look at “the book”, his bedroom, the room where the Pieten sleep and do the wrapping and such. There is also a small cafe where you can have a drink (adults actually get a free coffee or tea with their admission). They also have beer and wine! I love this country! Of course I was drinking tea. After all, I was driving. Other peoples kids. And it was like 10:30 in the morning. But you bet I noticed the beer and wine! Despite the fact that I will be going twice with school trips (yes, I also signed up to take kids in my sons class. Once again… what the hell was I thinking) I think I will take the kids over the weekend. They have chocolate letter decorating! Entry is 4 Euros for over the age of 17 and 2 Euros for anyone under that. Museum card holders get in free! If you don’t know about the magic of the museum card you can read about it here. Of course this is only during the period that Sinterklass is in town. I wish this was wine!! !